There are many options of transportation available to you that are easily accessible in Colorado. The Denver Airport is serviced by most major airlines with flights to and from 126 national and international destinations. Travel time from the Denver airport to the front door of The Exception is approximately 2 hours by car. If you choose to rent a car, there are many rental companies at the airport such as Avis, Budget, Dollar, Hertz and National. The Eagle County Airport is only 30 minutes by car from The Exception. This Airport has fewer flights than the Denver Airport, but is much closer and quite a time saver for shorter stays. Colorado Mountain Express has shuttles that services both Airports and will pick up and drop off door to door. Links to these shuttles and skiing information are at the bottom of this page. 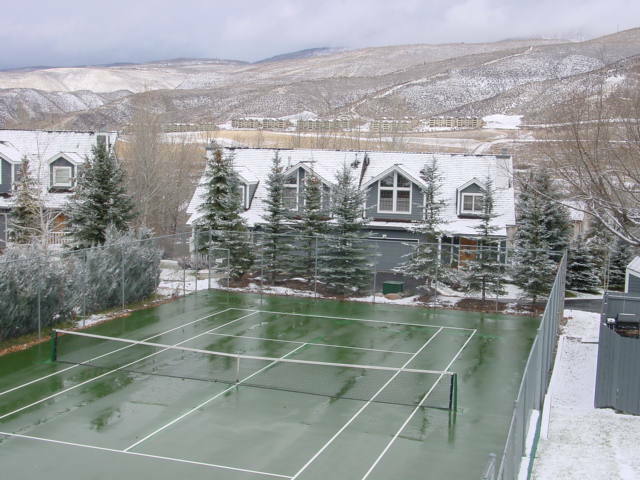 Our unit is just beyond the tennis court which is available for your use in good weather. Take I70 east to exit #168 (William J. Post Blvd.) Follow signs to Hwy. 6 through four roundabouts. At the last one, go 1/4 turn to right and then turn left at the Shop n'Hop convenience store (Eagle-Vail Road). Go to the first stop sign and turn left on Deer Blvd. Go past two streets and then turn right on Greenway Circle. You will see the sign for The Exception on your right hand side. Turn into the complex and Unit 1B is the second driveway on the right hand side. Take I70 west. After the 3 Vail exits and the Minturn exit, take Exit #169 Eagle-Vail. Turn LEFT (west), at the end of the exit on Hwy. 6 towards Avon. Go approximately 1 mile, through a roundabout and turn left just before the Shop n'Hop onto Eagle-Vail Road. Go one block to the stop sign and turn left on Deer Boulevard. Proceed past two streets and turn right on Greenway Circle (you'll see the Exception 0700 sign). Your first right again will bring you inside the complex and Unit 1B is the second garage on the right hand side. The ECO (Eagle County) bus offers service between Vail, Beaver Creek and Avon. The bus stops a short 5 minute walk from the front door at the convenience store (Shop n' Hop). There are also shuttles transporting from the Eagle County Airport. Bus Schedules are available at Eagle County's website as is much more valuable information. Please print these pages in Landscape mode on your printer.